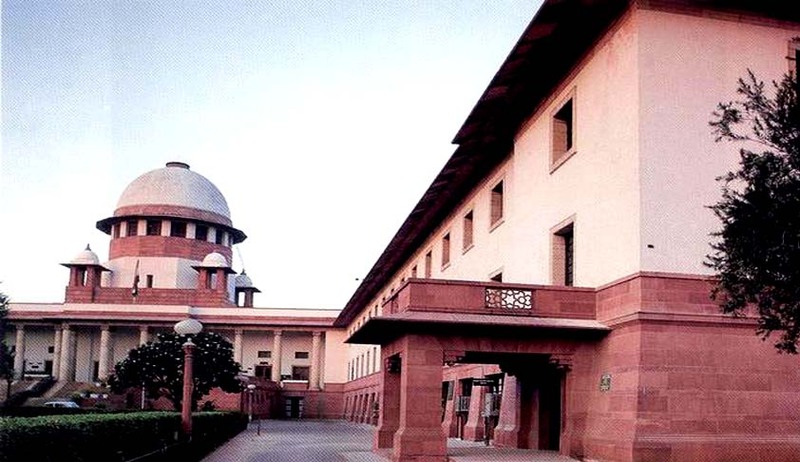 The Constitution Bench of the Supreme Court delivered the judgment in relation to retrospective taxation and held that a statute has to be read prospectively until a contrary intention appears. The Court also applied the doctrine of fairness in the judgment. The litigation in Commissioner of Income Tax, New Delhi v. Vatika Township Private Ltd. arose when there was a search and seizure operation under Section 132 of the Act on the premises of Vatika in 2001. A notice was also issued requiring to file the return of income for the block period ending 10.02.2000.In compliance, Vatika filed its return of income for the block period from 01.04.1989 to 10.02.2000.The Block Assessment in this case was completed at a total undisclosed income of Rs.85, 18,819/-. After sometime, the Assessing Officer, on verification of working of calculation of tax, observed that surcharge had not been levied on the tax imposed upon the assessee. This was treated as a mistake apparent on record by the Assessing Officer and accordingly a rectification order was passed under Section 154 of the Act. This order was challenged by Vatika and the same said order was cancelled by the CIT (Appeals)-I, New Delhi on the ground that the levy of surcharge is a debatable issue and therefore such an order could not be passed taking umbrage under Section 154 of the Act and the component of surcharge was removed. The IT Department then issued a notice under section 263 of the Act and sought to revise the order made by assessing officer by which he had given effect to the order of the CIT (Appeals) and in the process did not charge any surcharge. In the opinion of CIT, this led to income having escaped the assessment. As in in this particular case the search and seizure operation took place on 14.07.1999 and treating this date as relevant, the Finance Act 1999 was to be applied. The CIT, accordingly, cancelled the order dated 09.09.2003not levying surcharge upon the assessee, as being erroneous and prejudicial to the interests of the revenue. The Assessing Officer was directed by the CIT to levy surcharge @ 10% and the amount of income tax computed and issue revised notice of demand. Vatika then filed the appeal before the Income Tax Appellate Tribunal against the said order of the CIT and the Tribunal allowed the appeal. Against the order of the Tribunal, the tax department approached the High Court of Delhi by way of an appeal filed under Section 260 A of the Act for the block period 01.04.1989 to 10.02.2000. This appeal was been dismissed by the High Court. Thereafter, the tax department appealed to the Supreme Court to adjudicate upon the matter. The same issue about the same proviso had reached the Supreme Court as a reference case and was decided in Commissioner of Income Tax, Central II v. Suresh N.Gupta. The Division Bench in that case had held that the said proviso is clarificatory in nature. When the same issue came up before another Division Bench, it doubted the correctness of the judgment in Suresh Gupta case and asked the matter to be placed before a larger Bench. As a result, the matter reached the Constitution Bench consisting of Chief Justice of India Mr. R M Lodha, Justice Khehar, Justice Chelameswar, J. A.K Sikri, and Justice Rohinton Nariman and it is Justice Sikri who authored the judgment, with his brother judges agreeing with his view. 1. Whether on the facts and circumstances ofthis case, the Finance Act, 2001 was applicable to “block assessment” underChapter XIVB in respect of search carried outon January 17, 2001? The Constitution Bench judgment also stated that view expressed in Suresh N Gupta has been followed in CIT v. SanjeevBhatpara. The Court then discussed the Scheme of Chapter XIVB of the Act in detail. The Court then referred to principle of fairness and referred to L’Office Cherifien des Phosphates v.Yamashita-Shinnihon Steamship Co. Ltd and various other cases. It also relied on Government of India & Ors. v. Indian Tobacco Association,in which the doctrine of fairness was held to be relevant factor to construe a statute conferring a benefit, in the context of it to be given a retrospective operation. The Court then refined the discussion to declaratory statues and referred to the opinion expressed by Justice G.P. Singh and also to opinion expressed by Constitution Bench in Keshav lal Jethalal Shah v. Mohanlal Bhagwandas & Anr. The Court held that the intention of the legislature was to make the impugned proviso prospective in nature and the Court over-ruled the law laid down in Suresh N Gupta.